Dragon Ball Fighterz is the next Dragon Ball game coming from Bandai Namco. This game will use the same elements used to make the guilty hear series which I find to be awesome. Morr New Characters have been revealed. 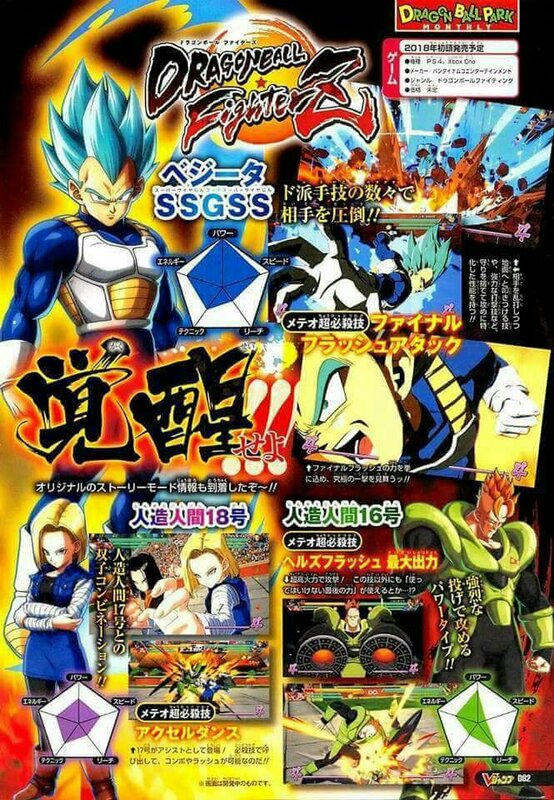 Android #16 #17 #18 will be playable characters.if you pre- order now, you can have Super Saiyan Blue Vegeta and Goku already unlocked. 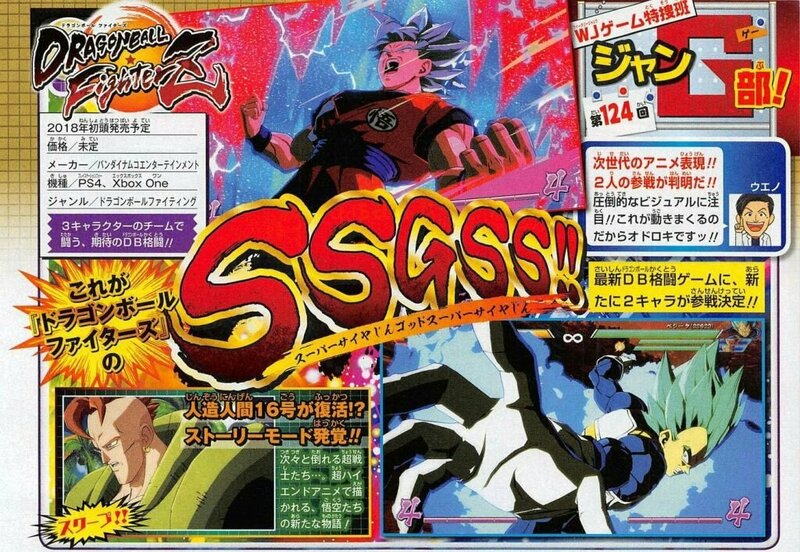 Scans have confirmed that Super Saiyan Blue Goku will be able to use Kaioken for one of his special finishing moves.